Plenty of us will be heading to our nearest DIY store over the Bank Holiday weekend as we prepare to get on with a long overdue project. But whether you're trying to fix a plumbing mishap or embarking on an adventurous project like insulating your loft in time for winter, you might want to think about crossing certain jobs off you list (and putting them on someone else's...). That's because experts are warning that our attempts at dabbling in home repairs – especially electrics – is putting us and our families in danger. Research conducted by NICEIC, the UK's leading electrical body, shows that over half (57 per cent) of homeowners admit they would dabble in DIY without any experience or formal training. Around 52 per cent of men would attempt to insulate a loft, while a significant 38 per cent would try their hand at electrics. In comparison, only 8 per cent of women would attempt vital electrical work themselves. Trying to find a quick fix won't make you a hero – in fact, it's more likely to cause damage than do good. 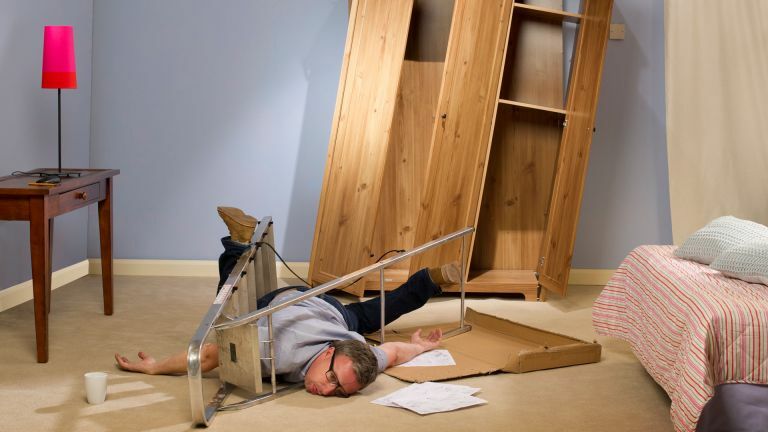 According to the research, just under a third of men have had to call in a professional to rectify a bodged job – a huge number when the average cost of fixing a DIY disaster is £1,165. Instead, NICEIC recommends that homeowners call in a professional for any electrical work, regardless of the experience you have. Darren Staniforth, technical development manager at NICEIC, says: 'A Bank Holiday is the prime time for tackling those odd jobs around the house.